When asked if they judge a company by their business card, 72% of respondents said yes. Business cards serve as a brief introduction to your business and services. 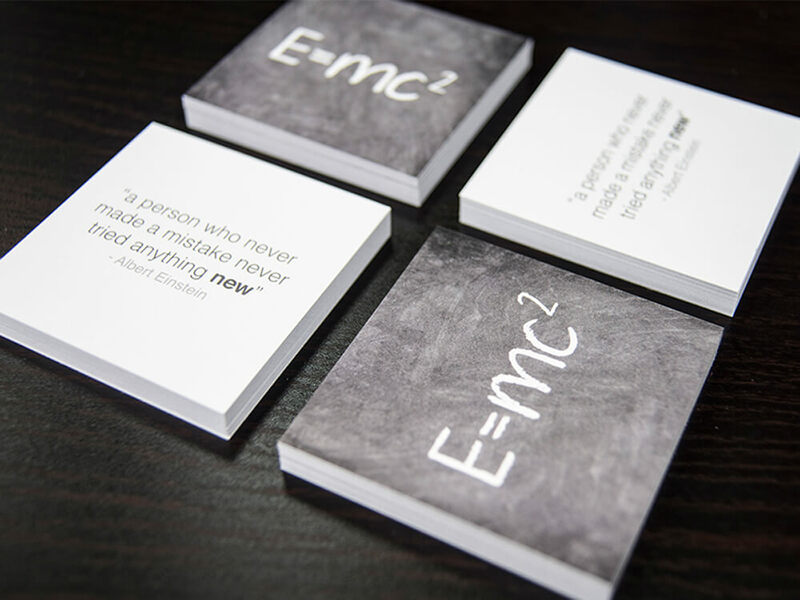 A well-designed card functions as both a conversation starter and reminder of your brand. When a person comes in contact with your business card they are interacting with your brand. It may be the first brand to experience a potential client has, so making the right impression is critical. 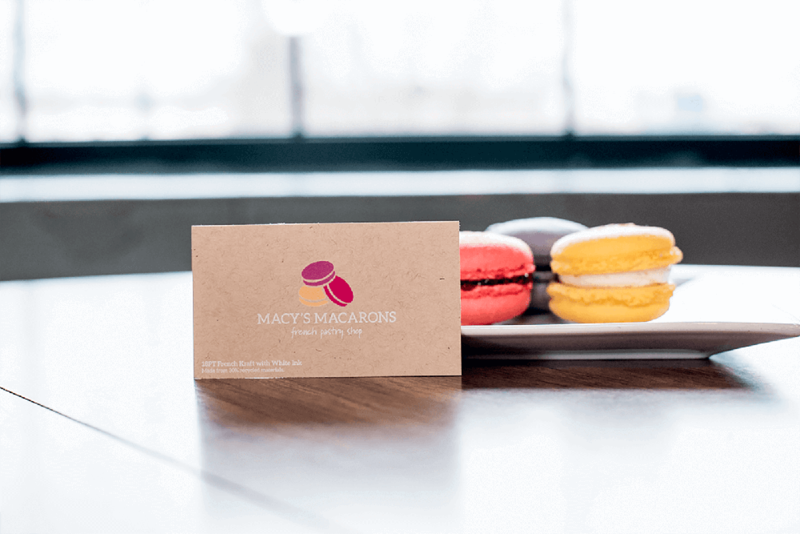 Including your logo, tagline (if applicable), and brand colors are vital to designing a great business card. When designing your business cards, think carefully about what information to add. Only include the best ways to reach you. For example: if you prefer to be contacted via email and your mobile number, consider not listing your office number. This makes it easy for people to reach you and eliminates unnecessary information from your card. You wouldn’t want a potential client to leave a voicemail on your office phone that never gets answered. If you choose to include multiple phone numbers on your card, label each one and be consistent. Are you available to answer questions and inquiries via social media? 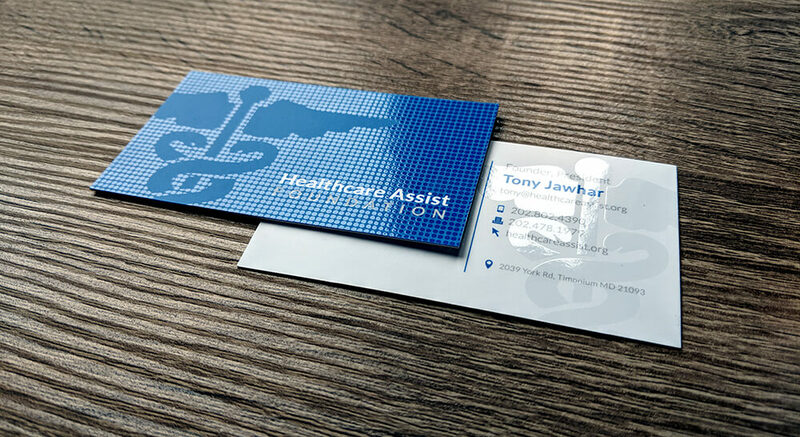 If so, adding the appropriate icons on your card tells clients where to find you. If you have an online presence including your website is crucial. Regardless of how and where you do business, including your website gives customers the ability to research your company on their own terms. Consider including a small QR code on your card. The code that once seemed obsolete is back, and people are actually scanning them…a lot! Including a custom code is an easy way for viewers to be able to quickly access your website or landing page without typing. The choice to include a physical address on your card depends on the type of business you have. If you have an online business or business doesn’t occur in person, including your physical address is unnecessary. If a client needs it, they can always ask. Brick and mortar businesses want to include a physical address so potential clients can easily find you. For example, a restaurant manager would always want to include the location of their business on their cards. Traditional US business cards measure 2” x 3.5”. An easy way for your card to stand out is to choose a non-traditional size. Square business cards are a great way to stand out among the sea of standard business cards a potential client gets at a networking event. 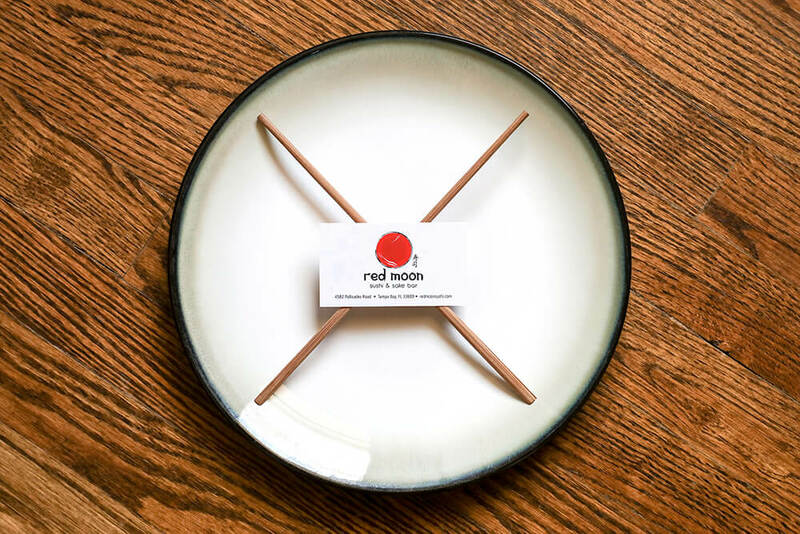 In addition to the traditional Matte, Glossy UV coated, and Silk options used for business card printing, our French Kraft, and Natural stock options are great for environmentally conscious businesses. Both contain 30% recycled paper. Looking to show your company’s strength and durability? 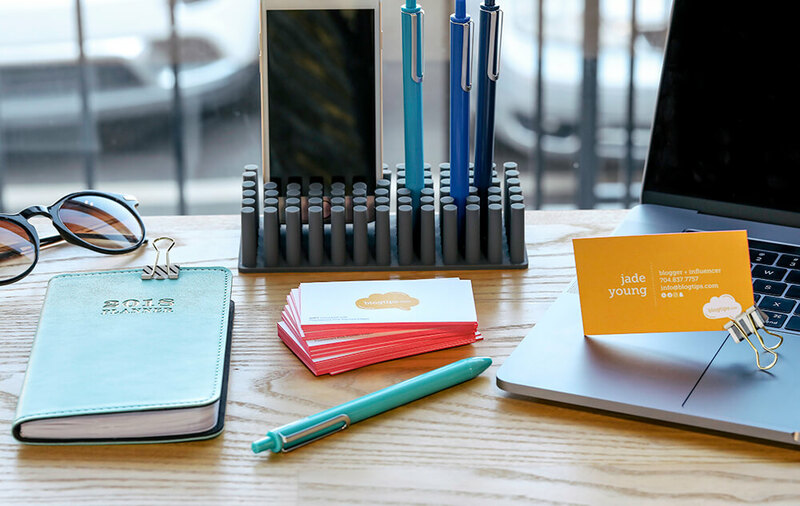 Extra thick business cards like our 32PT Modcard™ convey the message with a card that doesn’t bend easily. If you’re really looking to be different, skip paper altogether and try our plastic cards. We offer 20PT frosted, Clear, and White options. Unique print features like Spot UV gloss or foil can amplify your design and help your cards making a lasting impression. Try rounding the corners of your business cards or choosing cards with vibrantly painted edges. 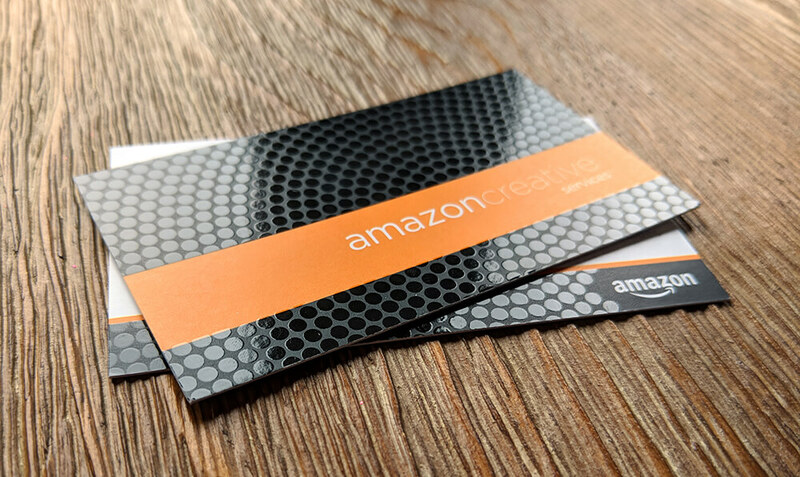 So, it’s time to work on your business card design. Before you get started, request a free sample pack here to see our various stocks and finishes firsthand. If you would like some assistance, our experienced in-house design team is here to help!